Look Waaaaaay In The Back There - It's The Chevrolet Bolt! 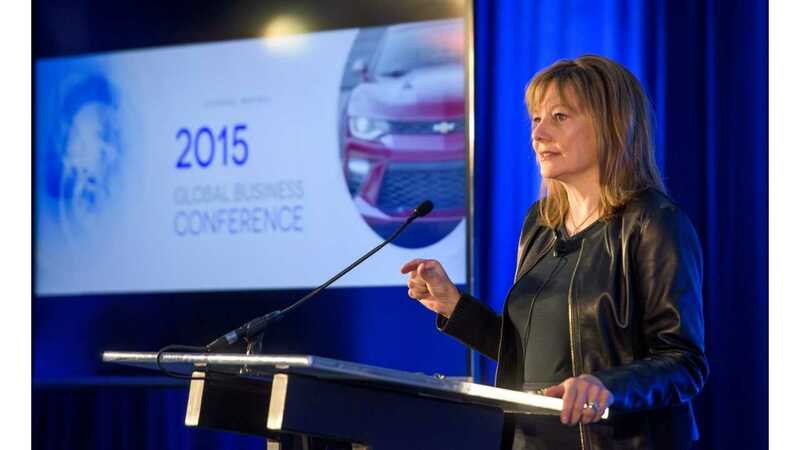 On Thursday, GM hosted its annual Global Business Conference. 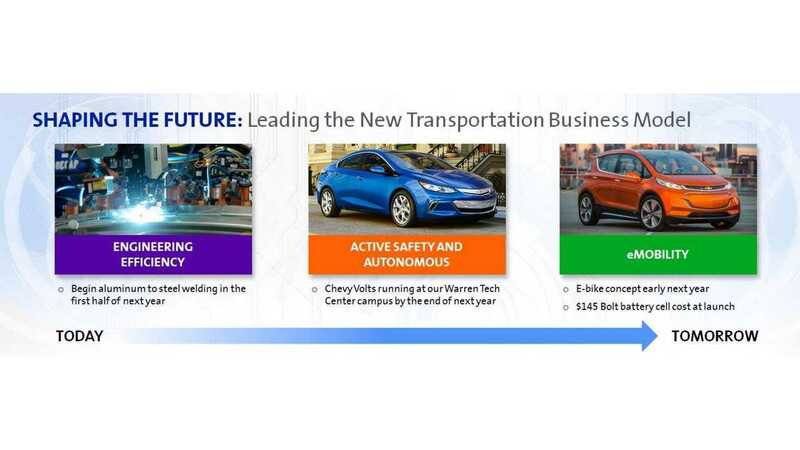 During the presentation CEO Mary Barra, and other execs, made several presentations about the direction of the company. And while most of the conference did not focus on plug-ins, some did. In a big way. 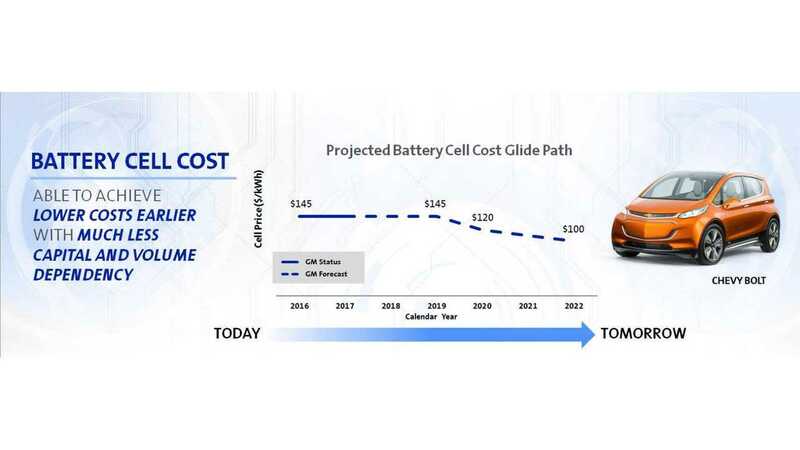 Specifically, that the Chevrolet Bolt was arriving in 2016, a confirmation that we did not have before - only a 3rd party report saying that production was going to begin in October of 2016, and a big statement on the cost of the battery found inside the Bolt. General Motors says the cost the battery cells in the company EV to be an "industry-leading" $145 per kWh. GM Outline Chevrolet Bolt Battery Cost - How Much Clearer Can You Get? We should note that the cells found inside the Chevy Bolt are coming via LG Chem. And that the Korean company is selling those same cells to seemingly just about everyone in the industry for their 2nd generation plug-ins. For example: here, here, here, here, here, here, here, here, here, etc. - we actually lost track of how many deals LG has in place for batteries once they got past 20. So yes, industry leading and a fantastic/great price (which we are delighted to finally see in print), but also available to purchase industry wide. 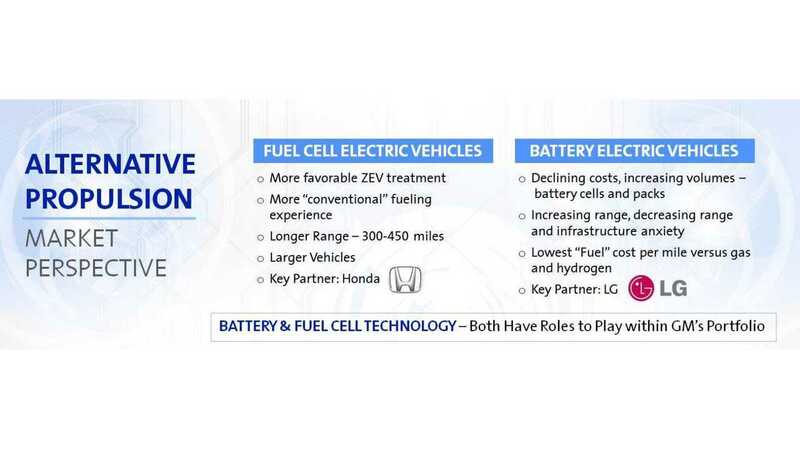 Not great from a competitive standpoint for GM, but a pretty great revelation for the plug-in segment overall - as well as a solid price-point on cell costs heading into 2016. Sidenote: LG Chem would also like to sell everyone complete battery packs - up to 120 kWh if they could. 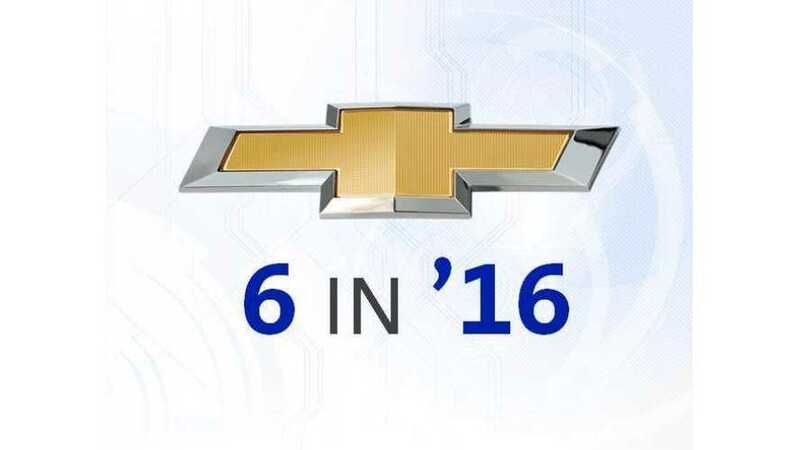 On margins, specific to the 2016 Chevrolet Volt, $3,500 more has been added. 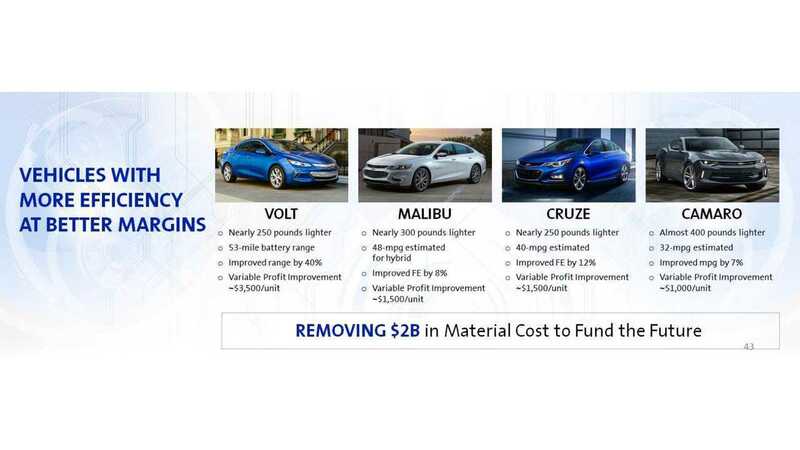 This $3,500 "variable profit improvement" is a bit of a stick in the eye for us; not because we don't want GM to make money on EVs (we really do), but because it comes after many years of promises to the consumer to take the cost out of the extended range EV, and then pass a certain amount of them on. For example, the original Volt five years or so ago was promoted as "comfortably under $30,000", and then later the former CEO Dan Akerson re-promised $7,000 to $10,000 worth of reductions in the 2nd gen car about 2 years ago - which again would have brought it down to around $30,000. This GM presentation slide (above) basically says that GM was indeed successful in getting the costs down, and was/is be able to follow through on both of those promises...but ultimately decided to keep the money for themselves in the end.  A bit of a 'glass half full/half empty' moment happening on this one for us. 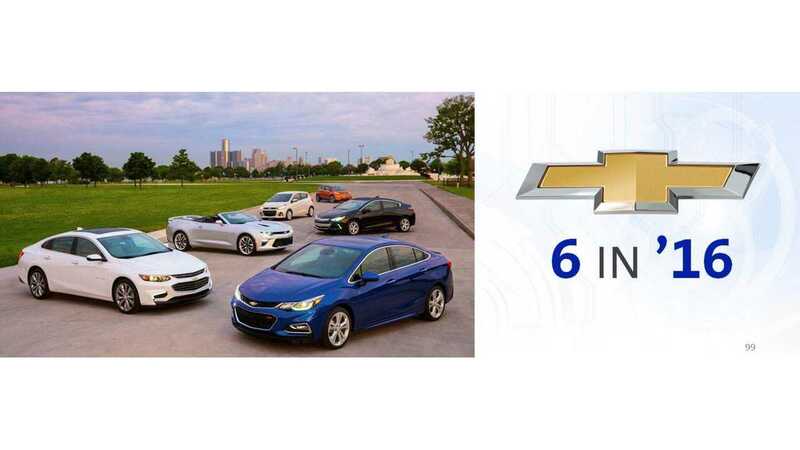 Separately, GM announced a fleet of autonomous 2017 Chevrolet Volts to be tested at the company's Tech Center next year. Hat tip to Brian R (bro1999)!